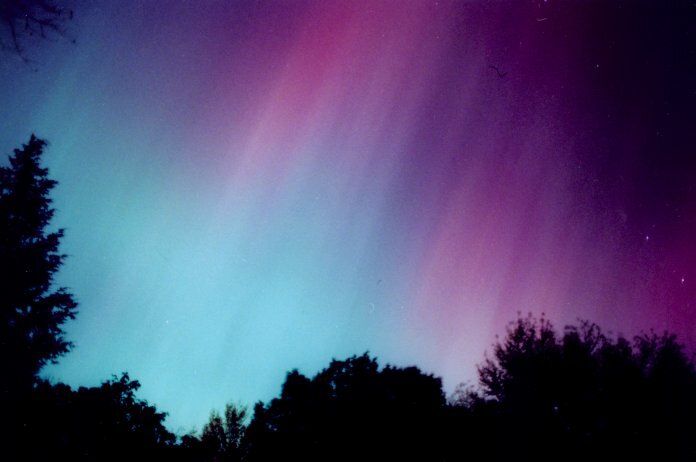 The aurora -- the northern and southern lights -- is a product of magnetic fields of the Earth and Sun and of the solar wind. The Sun's gases are in constant motion. The Sun rotates differentially with a period of 25 days at the equator (a velocity of 2 kilometers per second), but longer -- up to 30 days -- closer to the rotation poles. As a result the solar gases "shear," or slide, against themselves. The outer third of the Sun is also in a state of convection, in which hot gases rise, radiate their heat at the surface (which shines at temperature of 5780 Kelvin), and thereby cool and descend. As a result of convection, the solar surface (the photosphere) takes on a finely granulated appearance. 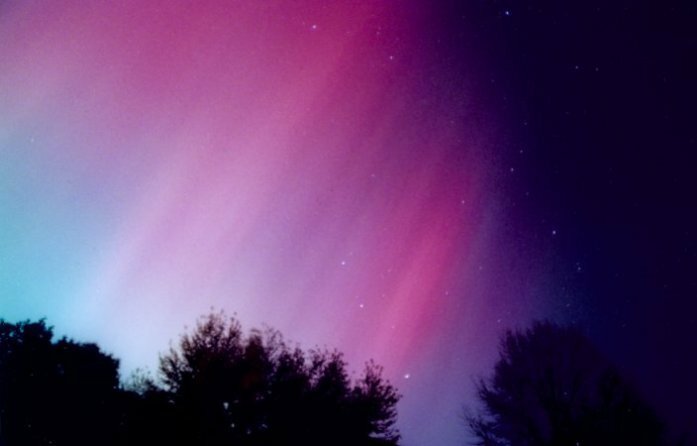 The interior solar gases are ionized, electrons stripped from atoms. Motion of an ionized gas will produce a magnetic field. 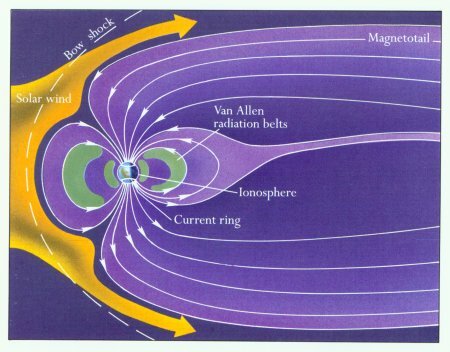 Solar rotation and convection thus combine to produce a dynamo that generates a solar magnetic field, which because of the differential rotation becomes concentrated into thick magnetic "ropes." The magnetic fields float upward, and where the "ropes" loop outward through the solar surface they inhibit the convection and thereby cool the local gases. The result is a pair of sunspots. The field loops are unstable and are in a continuous state of formation, connection with each other, and collapse. The steady release of magnetic energy heats an outer solar corona (visible during eclipses of the Sun) to a temperature of two million or so degrees Kelvin. The magnetic fields in turn confine the corona into vast arc-like structures. 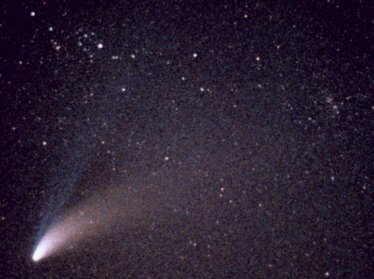 Where the loops do not hold the corona back, it expands to create the solar wind, a flow of atomic particles (protons and electrons, basically ionized hydrogen) that impacts the planets and causes the gas tails of comets to be pushed away from the Sun. The Earth has a magnetic field that is produced by the rotation and convection of its deep, liquid iron core (which occupies about half the terrestrial radius and about a third of the Earth's mass). When the wind hits the Earth, it flattens our magnetic field on the sunward side, and stretches it out on the opposing side into a long magnetotail. Particles trapped by the Earth's field also form donut-shaped protective radiation belts that encompass us. 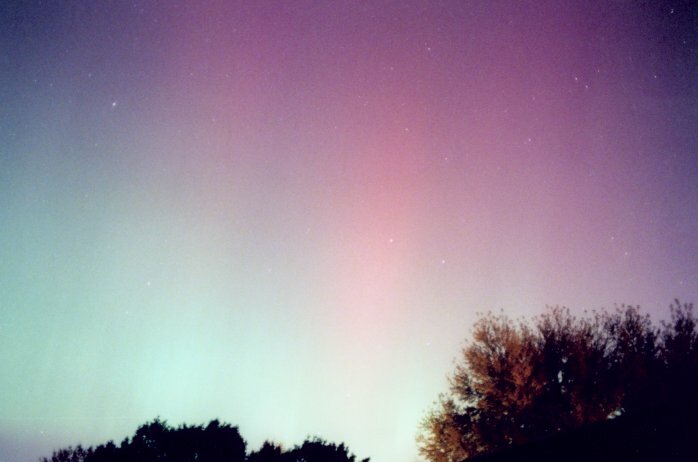 Where the particles leak into the Earth's atmosphere around our magnetic poles, they excite the atoms of the Earth's upper air, causing it to glow as the northern lights in a ring around the magnetic axis (which is tilted by about 10 degrees relative to the rotation axis). 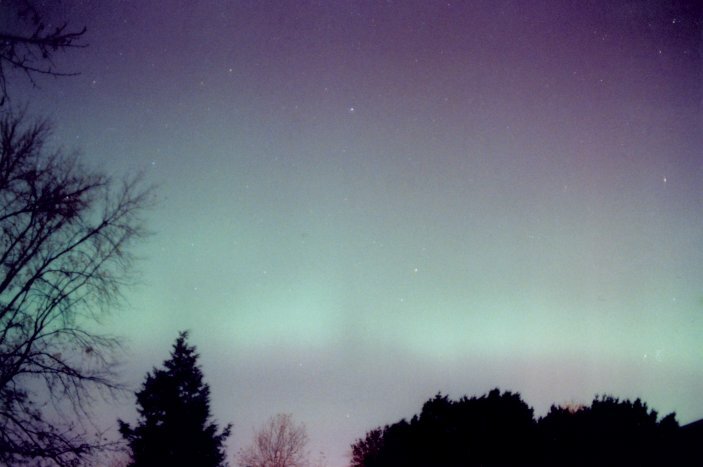 The ring's radius of about 20 degrees carries it across Alaska and northern Canada, where aurorae are common sights. When large-scale unstable magnetic loops reconnect and collapse, great balls of coronal gas are released from the Sun at high speed. 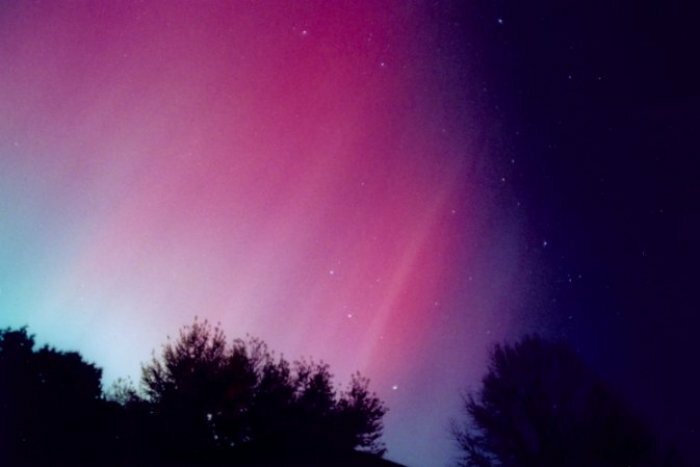 If such a coronal mass ejection hits the Earth (the journey taking a couple days), it greatly disturbs our magnetic field and causes the auroral ring to expand to lower latitudes, allowing much of the more southerly population to see one nature's great displays. 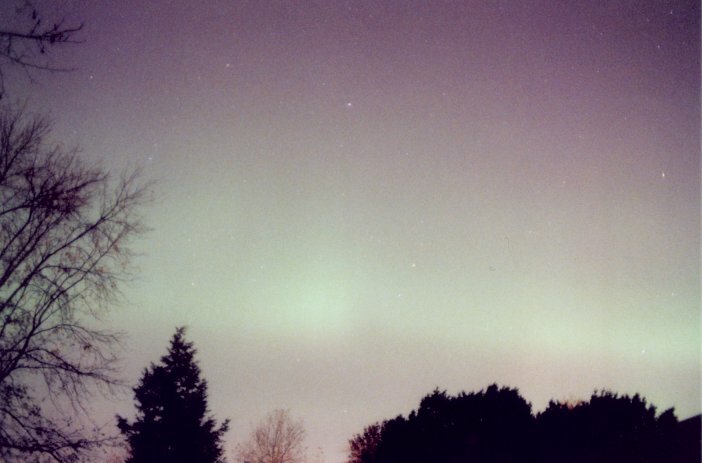 The northern lights are mirrored by the southern lights that center on the south magnetic pole, and expand northward during impacts of coronal mass ejections. 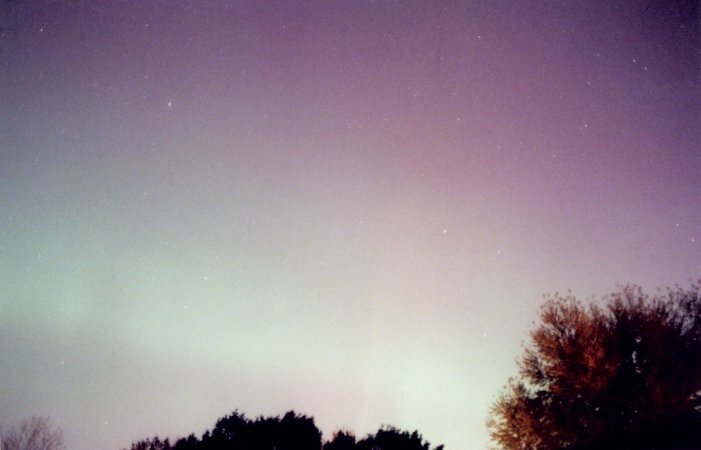 The set of eight pictures below was taken at a latitude of 40 degrees north during the great display of November 19, 2004. 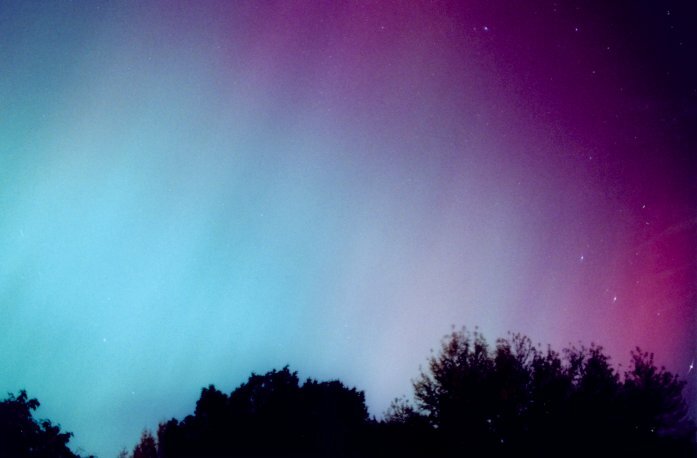 They are arranged not so much in a strict time sequence, but in an aesthetic sequence that better displays the aurora's constantly changing nature and its amazing colors. Please enjoy them. The constellation Gemini (the Twins), with bright Castor and Pollux, is seen rising to the right in pictures 1 and 2, with Saturn down below. Pictures 3 and 4 show Castor and Pollux off to the far lower right. The bright star at upper center in pictures 6, 7, and 8 is Polaris (the North Star) in Ursa Minor (the Smaller Bear). Copyright © James B. Kaler, all rights reserved. The written contents and photographs are the property of the author and may not be reproduced in whole or in part without the author's consent except in fair use for educational purposes. Thanks to reader number .